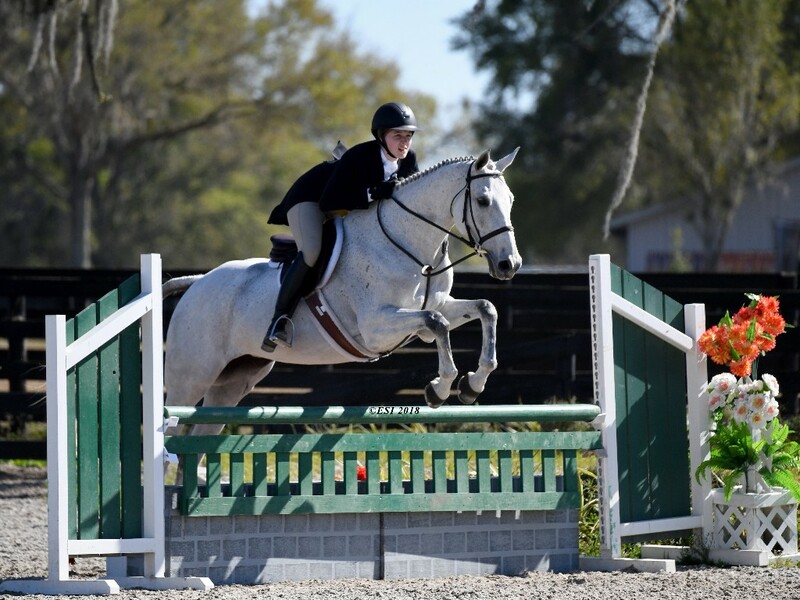 Week IX has come and gone at the HITS Ocala Winter Circuit, bringing blue ribbons and valuable points to many as the final week approaches. 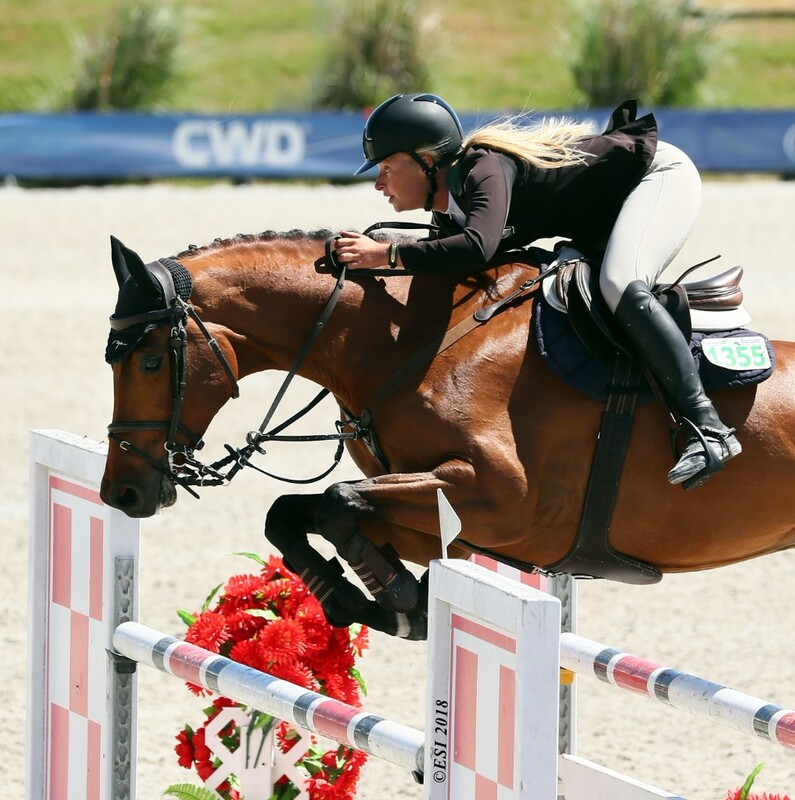 Riders gave it their all as they took one of their last shots at collecting points for circuit championships and qualifying for the Great American $1 Million Grand Prix. On Wednesday, the week opened again with the $5,000 Johnson Horse Transportation Welcome took place. Kristen Vanderveen, a new face to the circuit this year, but a very familiar face at HITS Horse Shows, rode BULL RUN'S PRINCE OF PEACE to the top spot in the class with a jump-off time of 34.237. Second place went to Rachel Schnurr and PRINCE GARBO with a jump-off time of 36.737. Less than half of a second behind her, in third was Marylisa Leffler and LUMINOUS with a jump-off time of 36.922. Francois Lamontagne and NEW WAVE 3E received fourth place with a jump-off time of 37.392 and fifth place was Jennifer Brennan and MAC with a jump-off time of 38.008. Kristen Vanderveen and BULL RUN'S PRINCE OF PEACE, winners of the $5,000 Johnson Horse Transportation Welcome. Thursday, the $25,000 SmartPak Grand Prix acted as one of the last qualifying classes for the Great American $1 Million Grand Prix. Brian Feigus and CATOKI took first place with a very quick jump-off time of 32.245. Emanuel Andrade again found himself in the top five of this Grand Prix, taking second place aboard U with a jump-off time 33.215. In third was Brooke Kemper and CLASSIFIED with a jump-off time of 33.287. Tracy Fenney and MTM COMO NO received fourth place with a jump-off time of 33.377 and rounding out the top five was local rider Aaron Vale and CASSEVEL with a jump-off time of 33.473. In the $10,000 Open Prix, Vanderveen took another top spot, aboard BULL RUN'S PRINCE OF PEACE with a jump-off time of 30.519. She also took second place with BULL RUN'S ALMIGHTY in a jump-off time of 31.922. Lisa Goldman received the third place award aboard CENTURION B with a jump-off time of 32.106 while Alexis Trosch and CORTEX Z came in fourth place with a jump-off time of 32.306. Vale and EXCLUSIVE would take fifth place with a jump-off time of 32.316. Coming back to win the $10,000 1.35 Classic was Andrade and DIPSSY in a jump-off time of 34.003. Michael Hutchinson and RONALDO DE LA POMME came in second place with a jump-off time of 34.467. 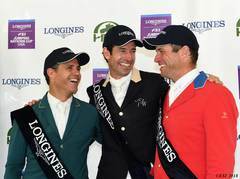 Andrade also took third, fourth, and fifth place aboard CLOUWNI, NOKIA DE BREKKA,and CORTINA 186 in jump-off times of 35.056, 35.108, and 35.206, respectively. Daniel Geitner and VESTA DE LAVARDIN, winning the $100,000 Sullivan GMC Truck Grand Prix. 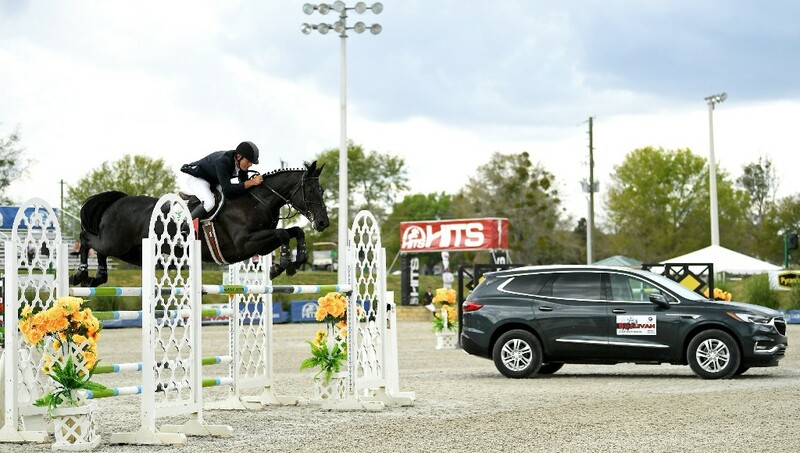 On Sunday, a crowd gathered in the Ocala Horse Properties Stadium, anxiously awaiting the second $100,000 Grand Prix to be held this circuit, this time being the $100,000 Sullivan GMC Truck Grand Prix. Thirteen riders made it to the jump-off round, but only one would come out on top. After a close jump-off, Daniel Geitner and VESTA DE LAVARDIN maintained the lead, winning the class with a jump-off time of 36.275. Less than a second behind, Vale and FINOU 4 took second place with a jump-off time of 37.057. Vale also came in fourth aboard MAJOR in a jump-off time of 37.902. In third place was Manuel Torres and ALEJANDRO in a jump-off time of 37.702. Rounding out the top five was Jonathan McCrea and ARISTOTELES V in a jump-off time of 38.987. Nadia Alani and APRIL, winners of the $1,500 Platinum Performance Hunter Prix. Many hunter riders rode flawless courses this week, and several will come back in Week X to show in the $25,000 USHJA International Hunter Derby. In the $1,500 Platinum Performance Hunter Prix, the competition was separated by only fractions of a point, but Nadia Alani and APRIL came out on top, with a two-round score of 158. Only half of a point behind her, Lila Ouellette took second place aboard KING OF HEARTS with a two-round score of 157.5. Kendall Mejer rode to a third place finish aboard HONEY CREEK with a two-round total of 157.25 and fourth place was awarded to Claire Campbell and STALLONE with a two-round total of 157. Fifth place went to Danielle Holliday and SACRET DES PARTS with a two-round total of 155.5. The $5,000 Devoucoux Hunter Prix also proved to be very competitive this week. Amanda Steege ended up on top placing both first and second aboard LAFITTE DE MUZE and CASCADE with two-round scores of 180 and 176, respectively. Cassandra Kahle was awarded third place with HERCULES VD VROMBOUTSHOEVE and a two-round score of 174.5 while in fourth place was Harold Chopping and CELTIC GOLD with a two-round score of 172. Rounding out the top five was Nashea Powell and DESSERT FIRST with a two-round score of 166. Visit hitsshows.com for more results!